Vacation homeowner Rey Febre was less than enthused to learn someone attempted to ransack his quaint two-story dwelling in Galena, Illinois. Febre now makes second home security a priority. The vacation home is your oasis far from the rigors of daily life. But that means you’re not there day-to-day to make sure the house and property are okay. Property left unattended is vulnerable to theft and damage. Getting the right insurance coverage for your second home is a smart move. 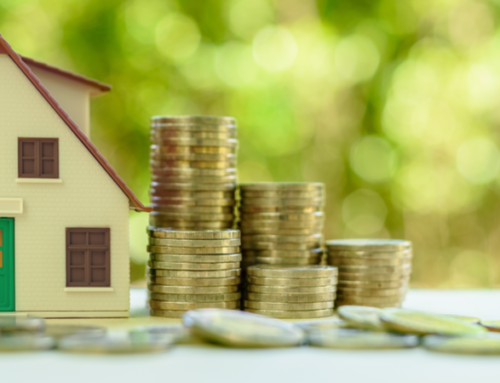 To protect your real estate investment and your bottom line, here’s how to keep your second home insurance costs in line. Coverage of your personal belongings. Additional living expenses in the event of a fire or other insured disaster. Some insurance policies may cover some types of natural disasters, but not others. Make sure you have coverage of specific natural disasters relevant to the area of your vacation home. For example, vacation homeowners in Florida should ensure their policy clearly covers hurricane damage. Without it, you may have to shoulder the damages to your second home. If you install a home security system on your second home, you may be qualified for a substantial discount on the cost of your policy. Insurance companies look to see if home alarm systems detect both fire and burglaries. Key components for burglar alarms include motion detectors, door and window screens, glass breakage sensors and window or door screen wires that activate if the screen is detached from the frame. Fire alarms must be in working order in order to qualify for a discount on the premium. If the alarm system is connected to a monitoring service, you typically qualify for a larger discount from insurers than with a local or unmonitored alarm system. Monitoring services, such as ADT and Brinks Home Security, cost upwards of $300 for installation and about $35 per month. Umbrella liability policies extend the liability limits on your homeownerâ€™s policy to include your second home. You typically have to purchase $300,000 of liability under your homeownerâ€™s policy before you can be eligible for an umbrella liability policy for $1 million of additional coverage. The umbrella policy kicks in after the primary coverage is exhausted, so a homeowner must meet certain qualifications in order to purchase this coverage. Flores suggests investing in an umbrella policy to protect you from lawsuits that may arise from mishaps that occur on your property, particularly since you are rarely there. Another reason to love thy neighbor is that they may save you money on your insurance policy. Insurance companies often offer discounts to homeowners who are members of Block Watch, a neighborhood-based crime prevention program. With proof of membership, most companies offer a discount of 5 to 10 percent on homeowners insurance policies. To start a Block Watch in the vicinity of your vacation home, collaborate with your neighbors and contact local police for information on starting a Block Watch chapter.